Velature is a premium-quality, water-dilutable, 100% acrylic, clear flat color wash. Velature is specially formulated to accept tints and to absorb into the Meoded interior and exterior decorative plasters, leaving the project with color but without luster or shine. Velature is formulated with the highest levels of UV absorbers and inhibitors, shielding your project for years. 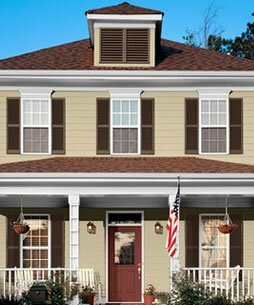 Application: Once tinted and diluted, the Velature can be applied in many ways, depending on the texture of the surface. Typically, a sponge applicator is the most effective. 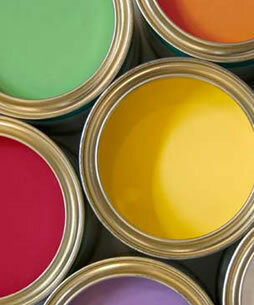 Coverage: Due to the type of application method and diluting, one (1) gallon will cover anywhere from 400 to 1200 sq. ft. This can vary greatly due to the different porosities and textures of the individual plasters. 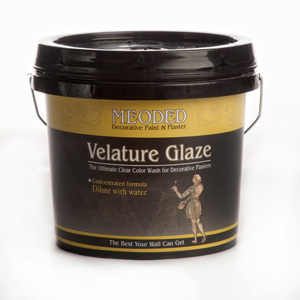 Container: Velature is available in 1-quart and 1-gallon containers.